Whether you’re looking to customize the truck you have or purchase one that already looks amazing, chances are that a lift kit is at the forefront of your mind. Truck fans love these machines even more when they’re higher off the ground, and our Dallas custom shop is here to help you understand the benefits of a lift and explore your options. When you purchase a new truck, you might notice that the bed is a bit higher up than the frontend. This is designed so that the truck will naturally level out when a heavy payload is stowed in the bed. If you don’t spend much time hauling, though, this can give your truck the appearance of having a saggy frontend. A common suspension modification that we handle at our Dallas shop is to install a leveling kit, which will lift the front end slightly for an even look when nothing is in the bed. This also hints at the main benefit of a lift kit, which is increased ground clearance. If you’re an off-road enthusiast, lifting your truck can provide the added distance between the ground and your truck so that you can better traverse obstacles while mudding or crawling. Of course, this also gives your truck a more aggressive look–especially when you take advantage of that extra space by installing bigger wheels and tires! The beauty of a lift kit, like most customizations, is that the specifics are completely up to you. You can choose exactly what you’re after for the look and feel you want. If you’re after a relatively small change, then a body lift kit can be installed with your stock suspension to gain a couple of inches with spacers, caps, or blocks. If you’re looking for a big change, though, then upgrading your suspension itself is the way to go. Installing a suspension lift kit can get you the height you’re after for a complete overhaul and plenty of extra wheel travel; the sky’s the limit! Whatever you’re looking to accomplish with your truck or SUV, our team is here to help you achieve it. 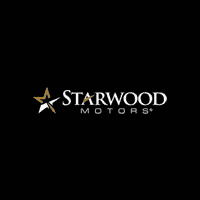 To start planning your one-of-a-kind customization, or for more information on the lifted trucks we have in stock right now, don’t hesitate to contact Starwood Motors online or to give us a call at (800) 348-9008.